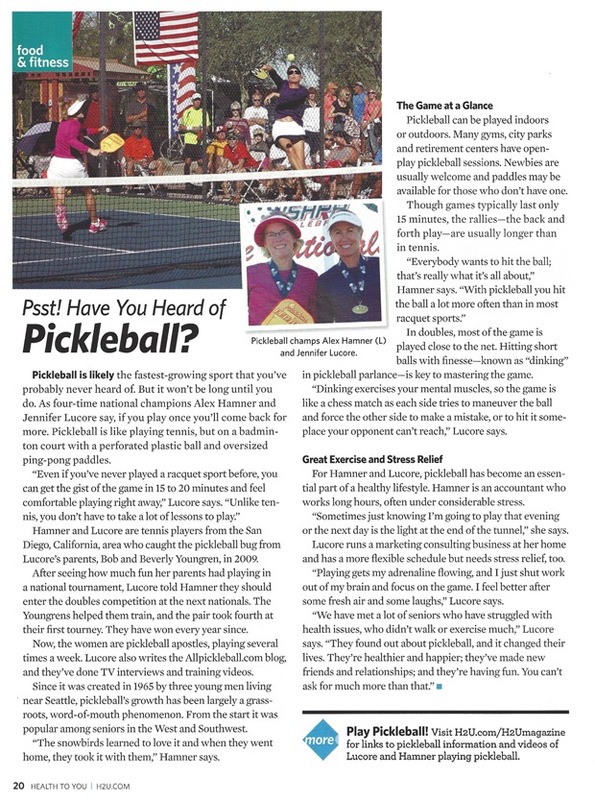 What is Pickleball?— The sport was invented in 1965 by three dads on Bainbridge Island, near Seattle, to engage their sons between the seasons for other sports. Now, it is estimated to be played by over 200,000 people in the US, and is especially growing in popularity in retirement communities as a way for senior citizens to keep active. The game itself contains elements of tennis, badminton and ping pong. The court is the size of a doubles badminton court and the game is played with a paddle slightly larger than a ping pong bat, and with a 2.75″ whiffle ball. The ball is served underhand into play then hit back and forth to gain either points or side outs, when the opposing team then serves the ball. A game is played to 11 points in singles or doubles play.